What is cool? What makes something cool? Despite the fact that I was never a part of the cool crowd at school, they're questions I've never felt compelled to answer. Or at least try to answer. But then I landed on this piece on The Atlantic, purporting a universal theory of cool and now I want to know: what makes something cool? According to The Atlantic, the definition of cool outside that which describes the temperature and ones indifference, has consistently evaded any real pinning down. The Atlantic also points out that cool is a subjective term in itself and what is cool changes often, as often as we might change our clothes - more often for some. I, of course, related this attempt at pinning down a definition, at describing a theory of what is cool, to my wardrobe. Because that is what I do. 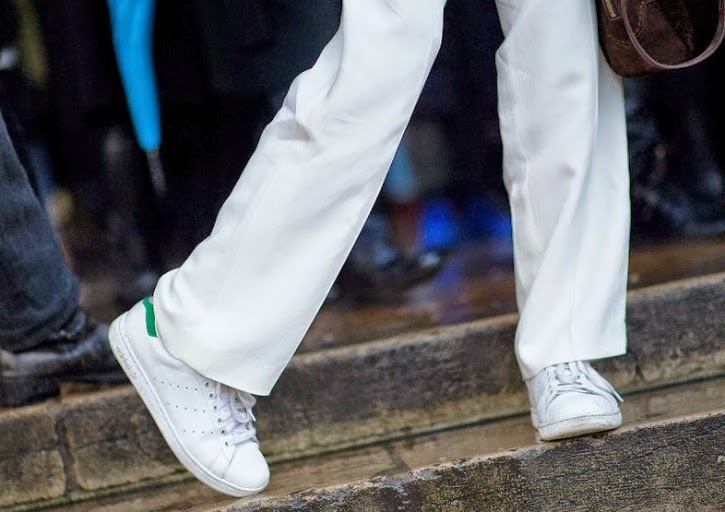 What is it about a shoe, a coat, a colour, a style of trouser that so quickly enters the zeitgeist and becomes cool? Is it the designer label that makes something cool? Is Chanel is cooler than Zara? Or is Zara, with its inspired by fast fashion, cooler than Karl? Do sartorial wares become cool only after those that reside at the centre of the fashion bubble say so? Is it cool only if Vogue and Elle say so? Is an items coolness directly linked to its presence on streetstyle feeds and well known bloggers? If Susie Bubble, Man Repeller or Rumi Neely wear something, does it become infinitely cooler? So is the coolness of Birkenstocks due to their departure from sky high heels, close toed boots and any other manner of restrictive norm associated with footwear? Are Birks cool because they are flat, open toed sandals whose main focus is comfort? When Carven sent that pink coat down the runway, did it become cool because it stood apart from the decidedly monotone colour palette we are so often accustomed to when considering winter coats? Any attempt to define cool, however, is perhaps the antitheses to the idea itself. By trying to understand cool, by trying to construct a theory to describe cool, do we miss the point of cool? I can't help but wonder if what makes something cool is our decision to make it so. But then, what would I know. I'm writing this while wearing an oversized chunky cream knit that I picked up at an op-shop a few weeks ago. I think it's cool, my sister - who expressed real jealousy when I found it before her - also thinks it's cool. You might think it's just an old knitted jumper, you might think it's not cool. 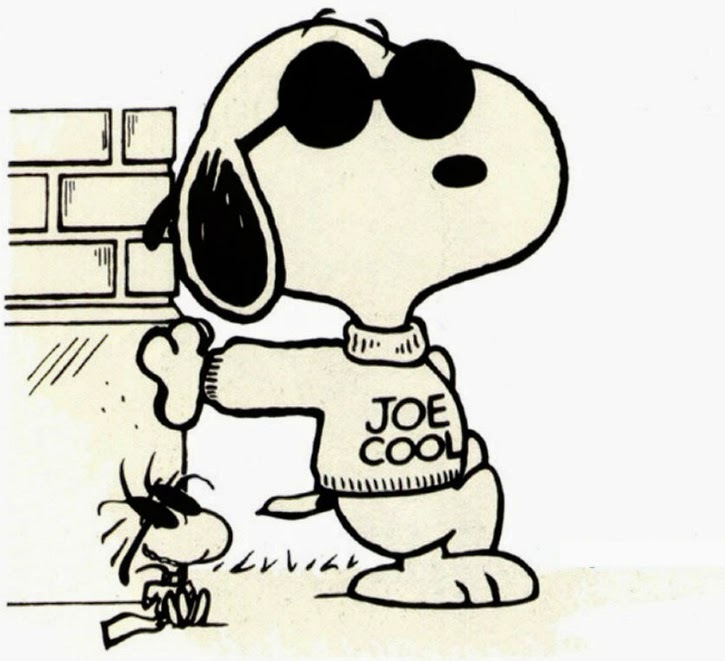 Maybe the real definition of cool is permeated with so much subjectivity it'll never be clear. And maybe that's ok. Maybe that's cool. 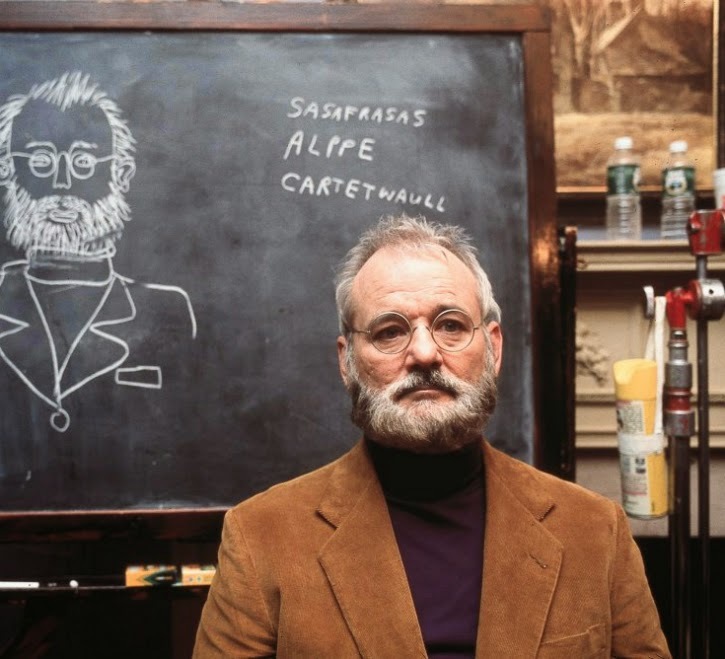 There is something to be said for finding a look and sticking with it (admittedly advice that I don't follow myself) and if ever there was a film to ram that theory home it would be Wes Anderson's, The Royal Tenenbaums. And while the sartorial lessons in Anderson's equal parts absurd and ironic film may not have been the driving force behind the narrative, they've left their mark on me. And Marc Jacobs, too. So what can we glean from the Tenenbaum family that we may use to our own advantage in the celluloid feature that is our own 'personal style'? Margot Tenenbaum's mid calf mink coat, by way of Prada, is almost a character in its own right. It's a piece she wears consistently, and to great effect. Coats, especially Prada mink coats, but also navy wool and black velvet are the type of sartorial genius that will always have place in your wardrobe, classic or no classic. And if you can wear it with the world weary quite despair and black black kohl of Margot, you're on a winner. Striped t-shirt dress is an optional extra. We spoke about this recently, but if you needed further proof, Bill Murray as the hopelessly meek and depressed psychiatrist Raleigh St. Clair and Margot's estranged husband, wears his plum coloured number with the kind of aplomb that only really comes when you just know that you're on your sartorial game - or that you have no idea, works both ways. Of course the fact that Raleigh pairs his plum with a camel coloured suede jacket is the kind of wardrobe choice that really needs its own post. 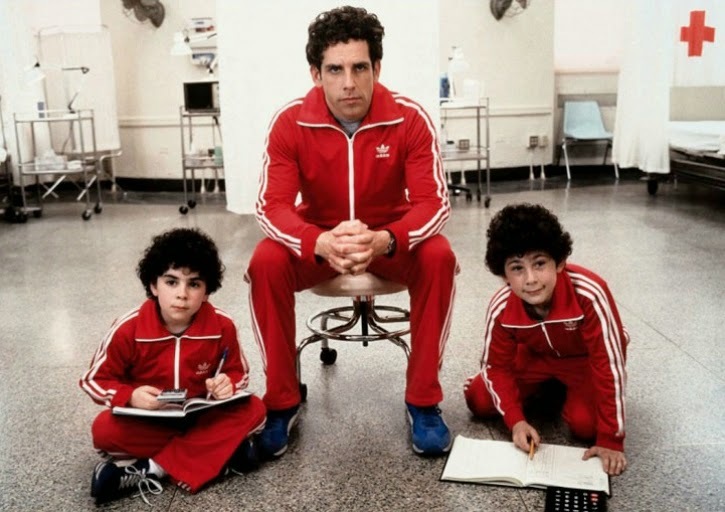 Chas Tenenbaum may just be singularly responsible for the amount of matching tracksuits you saw after 2001, worn in a wholly unironic way. But the mere fact that a style of dress has dominated the fashion skewed choices of the people is no reason to eschew its value altogether. Comfort is undeniable, as is safety. I mean, it's much easier to respond to a 3am fire drill if you're already dressed to partake in some form of physical activity. It's cool to be prepared, you know. Seriously, do it. And then send me a picture, please. In all honesty though, a tan suit is a sartorial gem that is so ridiculously underrated, it's almost a crime. The perfect blend of sophistication and relaxed style, it's dressy without the formal overtones of black or navy or the OTT of white. It has more substance than grey, and is removed from the dated feeling that overtakes brown. Tan is the bees knees, really. Not forgetting, of course, the validity of bow ties, velvet blazers, fringed jackets worn with cowboy hats and dizzying printed shirts. No wonder Marc was so inspired. Thoughts, feelings, sartorial inspirations or lessons of your own - please share! Book recommendations are a lot like birthday gifts; unless the person doing the giving - be it information or a vintage fair isle knit - knows you even just a little bit, there is a real chance that you'll find yourself resenting them for getting you so wrong. For not realising that you couldn't possibly respond to a tome recording the history of an obscure beetle from the southern most tip of South America or a sequinned bandeau top. And then sometimes you stumble across a book recommendation from someone you don't know at all. And that doesn't know you. Someone that simply distilled their love and appreciation into words that made you want to discover the characters they spoke so fondly of. That made you want to crawl into the mind of the author they revered and play dress ups; that made you want to spend all day curled up in an armchair, turning pages as quickly as you could soak up the words. That's how I found I Capture the Castle. I read about it on Hannah-Rose Yee's blog, which is named for the book she so eloquently exposed the thrill of. And now I've discovered another character that I may sit beside Mary Lennox, Hermione Granger, Ebenezer Scrooge, Huck Finn, Matilda and Jo March as a favourite - Cassandra. 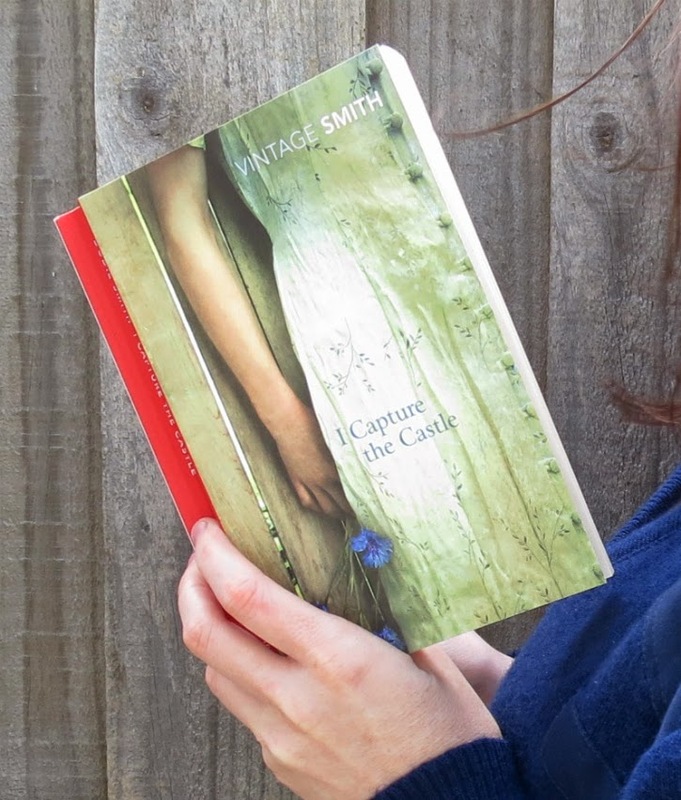 The irrepressible, intelligent, charming narrator of her family's story. A story littered with the kind of genteel poverty that seems more romantic than depressing. A world of crumbling castles rampant with ghosts and of early twentieth century manners and social graces. A story of luck and first love and laughter and of finding your way as you go. 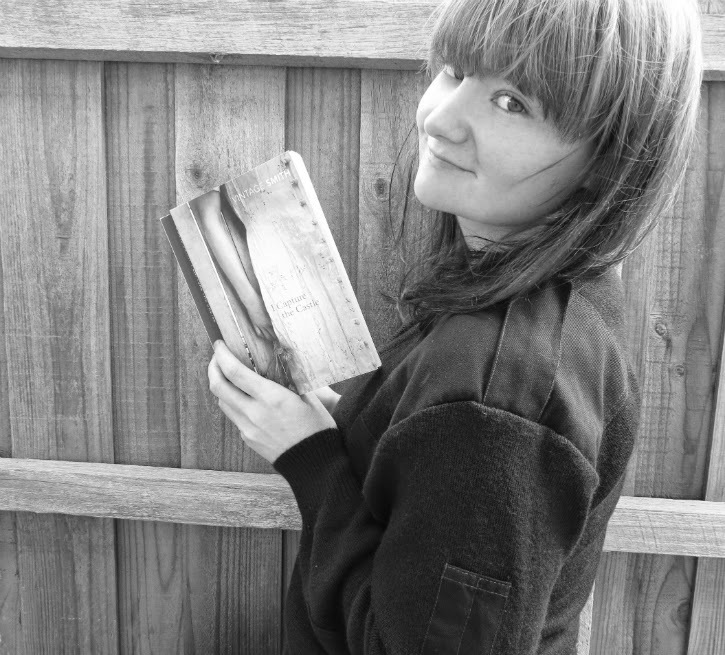 I devoured the book, written by Dodie Smith, in three days - it would have been earlier if not for the scoundrel of work. But I do warn you, there is a very good chance that you will develop an affection for Cassandra and her family and their life in a castle that will leave you finding your own comfortable existence revealing itself as pedestrian in comparison. Classic wardrobe staples have always battled with iconic statement pieces. And more often than not, they’ve won. 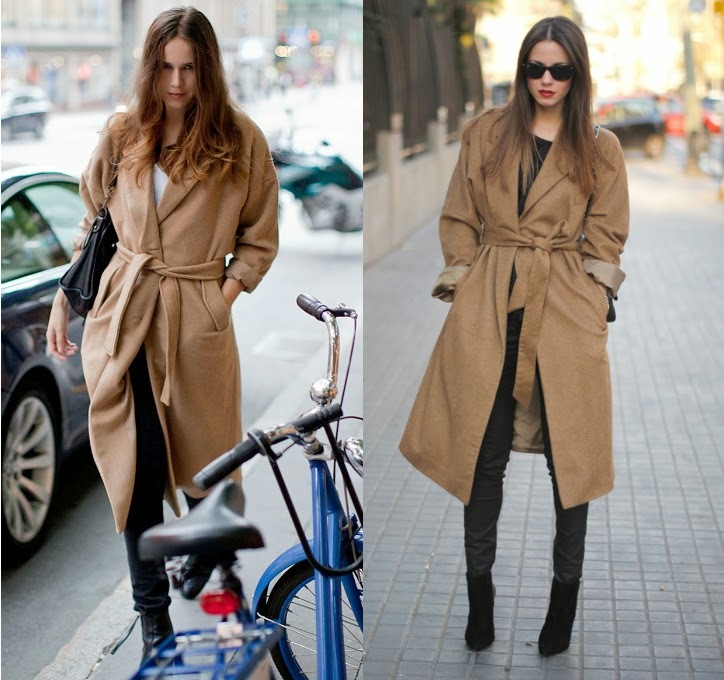 Whether that’s down to the sheer strength found in a beige trench or just because those statement pieces appear easily exhausted and are often to be found curled up at the back of your closet after only a handful of wears. Either way, classic always seems to come out on top. And no wonder when we are inundated with repetitive wardrobe advice that proclaims white t-shirts, black denim, a trench and the all important little black dress are among the necessary items one must possess. The advice comes with the underlying message that classic is always best and those statements you might be fond of making are best made with shoes, bags or accessories. In other words, leave the loud to Anna della Russo. But what happens when those classics suddenly become statements in their own right. Take the now ubiquitous camel coats, white kicks a la Stan Smith and skinny black denim with perfectly placed rips at the knees. You know the ones I’m talking about. These pieces have infiltrated out wardrobes and sartorial desires (I’ll admit to a hankering for a camel coat that makes my desire for an EU passport look like a flight of fancy) to such a degree that their ever present nature now makes a statement in its own right. But it’s the kind of statement that freewheeling fashion folk might not be too enthused to hear. Because I have to wonder if adhering to the classics, if stripping your wardrobe of the sublimely ridiculous does, in fact, make a statement about statements. Or more to the point, about not making them. Do these pieces, the white button up shirts and black pumps among them, contribute to a shrinking of our personal style? Do these pieces tell the world that we’re happy to play within a strict sartorial playground, with a uniform of sorts? And that discovering half the people you follow on Instagram are wearing the same shoes as you doesn’t even make your heart flutter, let alone stop. 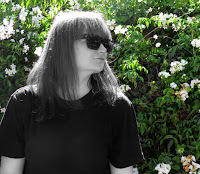 It almost seems like an inevitable evolution when people like Emmanuelle Alt, Christine Centenera, Kate Lanphear and Carine Roitfeld are revered, and consistently emulated, for their personal style. But I have to wonder, when this sartorial world of ours is dripping in black and white and shades of grey, is there a point where classic loses its appeal? Independent fashion designers, determined to stay independent, are turning to crowd-funding initiatives like Kickstarter and Pozible and rejecting traditional rigid methods of investment to help launch their business. And consumers are responding. Launched in 2009, Kickstarter’s impressive statistics include more then 61,000 projects funded to the tune of more then $1.1 billion dollars worldwide. The Australian based Pozible, launched in 2011, boasts more then 6000 projects and close to $20 million dollars in pledges to projects. What’s the attraction for fashion designers? Independence according to Melbourne based RMIT graduate, Samantha Lentini, the designer behind s.L.c. ‘I’d just like to be in control of everything at the moment,’ Sam said. The 23 year old designer, who also works as a personal stylist, saw a gap in the Australian market for quality, well cut t-shirts and starting working on producing a range. She launched her project on Kickstarter, alongside the t-shirts, at the urging of friends with the aim of financing a complete AW collection. ‘Obviously I wanted to make a proper collection, but I didn't have the money,’ she said. The risk involved in financing a fashion collection was also an important part of Sam’s decision to use the crowd-funding platform. ‘A lot of people lose money in the fashion industry, especially with their first collection,’ she said. 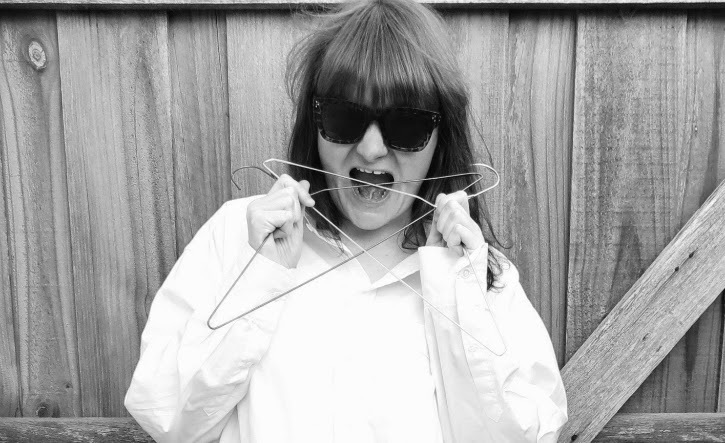 Perth based fashion creative, Claire Mueller has pledged to Sam’s project and also sites the independence that Kickstarter and Pozible allow designers, but also the low level of risk involved. ‘It let’s them get right to the consumer,’ Claire said. Making the comparison between a Kickstarter or Pozible project and the traditional method of producing a range to show potential investors and buyers, Claire pointed out that crowd-funding platforms allowed designers to test the market response before committing fully. ‘You can see if your idea is catching people’s interest in a short timeframe, so it if works - fantastic, if not you get to reflect and go back to the drawing board without huge financial implications,’ she said. However, Claire said that designers using crowd funding platforms had to be active on social media to make it work. ‘I don’t trawl Kickstarter looking for projects to support. I’m far more likely to see something cool on Instagram and think “Love it, that’s worth my pledge”,’ she said. It’s a strategy that Sam has embraced, using both her personal and her label’s Facebook and Instagram pages to encourage fans to support her project. And it’s paid off, with Sam surpassing her projects $2000 goal with less than three weeks to go. ‘I’m feeling very overwhelmed and grateful that people believe in my work enough to donate,’ she said. Sam will now start work on the producing the samples for her AW collection. ‘I’m very excited for my designs to go from paper to cloth,’ she said. 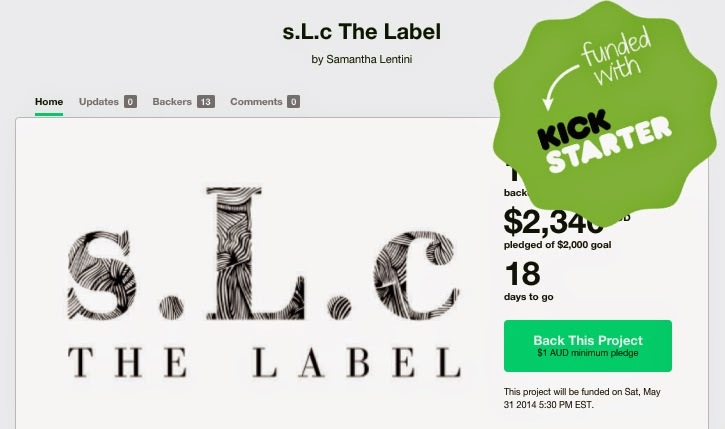 Despite Sam’s success using Kickstarter, many projects on the crowd funding site never reach their goals. According to Kickstarter’s own statistics, fashion projects have a low rate of success, 29% compared to the 55% enjoyed by music. However, overall the site records a success rate of 43%. Pozible doesn’t provide a breakdown by project type, but does provide an overall success rate of 56%. Which begs the question, what makes a successful Kickstarter or Pozible campaign? Both sites provide detailed how to guides and handbooks, and highlight the importance of a clear defined goal, creative and fairly priced rewards for consumers and actively promoting the project via social media and traditional media. For Sam, ensuring that she defined the outcome for consumers alongside being active on social media were important parts of the success of her project. ‘It’s an amazing means of funding, Kickstarter has played a massive part in making my dreams a reality,’ she said. My Mum used to own these denim and blue leather cowboy boots. In the heady days of very early adolescence, I adored them. They were, to me at least, the pinnacle of sartorial excellence. They hailed from the eighties, so their toe was pointed, their heel low and blocky and they slouched with the perfect mix of nonchalance and effort. I loved them in a manner that in hindsight they probably did not deserve. I wore them - despite the fact that they did not fit - around the house as I slipped into my imagination and played out the most complicated of scenarios in my head; in which I was older, taller and the shoes fit me perfectly. Despite my Mum's cowboy boots (and a pair of shocking pink heels that I also still reminisce about) she was never, and still is not, afflicted with a level of infatuation for sartorial wares like mine. Lucky her you might say. You're more likely to find her in the garden than on Net-A-Porter. Still, she has managed to instil some wise sartorial lessons. The appreciation for the pre-loved is a lesson that I will forever be grateful for. Secondhand doesn't mean sad, used doesn't mean useless. As a child when those bags full of clothes from aunts and great aunts and second cousins and friends popped up it felt like the greatest treasure hunt ever. What could be found amongst the polyester and the cotton, was wool and silk and orange sweatshirts that I would wear relentlessly for years. And while the bags no longer appear, more's the pity, op-shops have taken their place. And snagged a part of my heart that will always be theirs. They, and I, have Mum to thank for that. It's ok to choose comfort over high fashion. It's ok to wear big woolly jumpers when everyone else is...not. It's ok to put warmth first, and street style second. Denim all the time, sneakers just as often and coral coloured leather jackets, because why not. Perhaps it's because she's always skirted around the edges of sartorial infatuation - where I dived head first in - but Mum has always had an ability to just wear what she wants and to be comfortable with that. It's a level of comfort that transcends the physicality of warmth and revelling in sneakers versus heels; it becomes a comfort with yourself. And more then that, with what you like and don't like. This is, for me, an ongoing lesson - but at least in Mum I always have someone to show me how it's done. No expansion on this lesson required. Except to say that my Mum is the boss of double denim, lady has got skills. 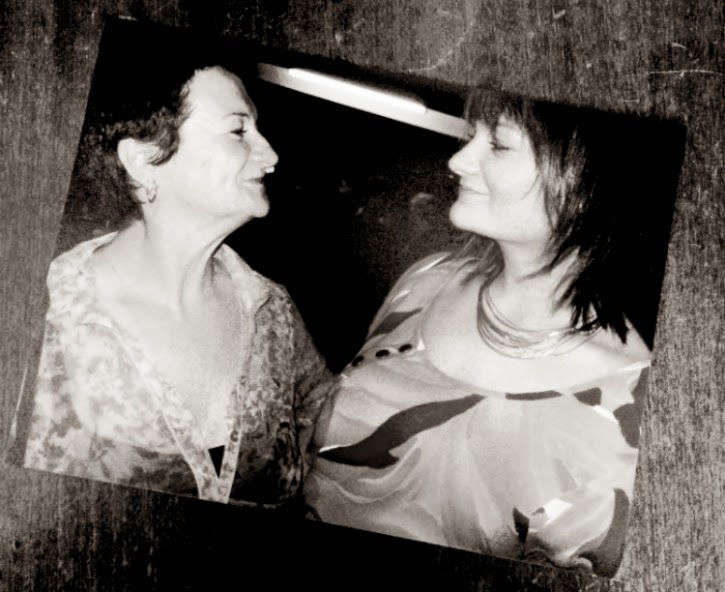 So, did your Mum instil lessons of a sartorial nature? Do tell!